The Detroit Tigers promote responsible drinking and positive fan behavior at Comerica Park. The Tigers Fan Code of Conduct and the details of the Tigers alcohol management plan that appear below ensure that fans have a safe and fun experience. The Tigers intend to provide all of our guests with a safe, comfortable and enjoyable atmosphere. Therefore, the Tigers have established the following rules for accepted guest conduct. Those failing to abide will be subject to ejection and possible arrest. Those observing other guests violating the Tigers policies should report the incident to the nearest event staff colleague. Guests can also confidentially text “SECURITY” to 39844 (standard message rates apply). Guests may also tweet @ComericaParkOps for any questions, or concerns that may arise while in Comerica Park. 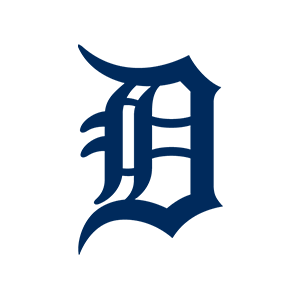 A Comerica Park Event Staff colleague will respond to security matters or guest service questions. The Designated Driver Program kiosk is located near the Brushfire Grill, Section 131 and near Gate B near section 104. Guests of legal drinking age, who hold a valid driver’s license, are eligible to become “Designated Drivers.” Our designated drivers receive a wristband and are entered to win a Designated Driver prize. The winner of the Designated Driver prize is announced in the middle of the 8th inning.